Today we end our December series 'Audiobook for the holidays'. In the lasteeks we introduced you to Boomerang by Michael Lewis and Our Choice by Al Gore and Rin Tin Tin by Susan Orlean. 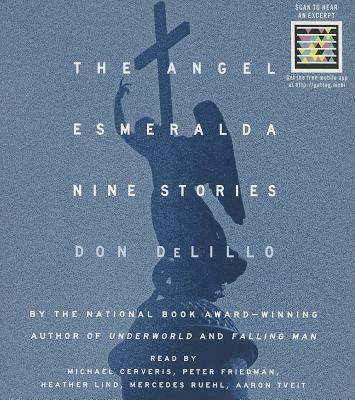 Today we're excited to introduce you to a collection of beautiful nine short stories written by the award-winning American author and playwright Don DeLillo between 1979 and 2011. The Angel Esmeralda: Nine Stories by Don Delillo, read by Mercedes Ruehl, Heather Lind, Aaron Tveit, Michael Cerveris and Peter Friedman. How you can win? Very simple. All you have to do is to add a comment with the name of your favorite short story author. We will have a raffle on Wednesday, January 5, 2012, 5:00PM EST between all the readers that will add their comments by then. The winners will be announced the following day. Here's an update on a new article I published today on Triple Pundit with the latest news on the new battleground between SFI and FSC certifications. I have to admit that I got it wrong. Last September, I wrote here about the battle between the competing forest products certification Forest Stewardship Council (FSC) and Forest Stewardship Council (SFI). I thought that the fact that seven large companies decided to reject the SFI certification meant that SFI is going to lose this battle, unless it worked with environmental organizations to improve its credibility. I didn’t take into consideration one factor that can change this balance of power and help SFI swiftly recover: friendly politicians.